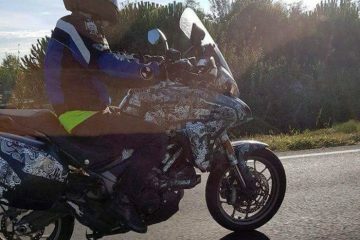 The Ducati Mulistrada 1200 Enduro has had a bit of jazzing up along with a few new spicy extras added to the mix to make the all new Pro version. 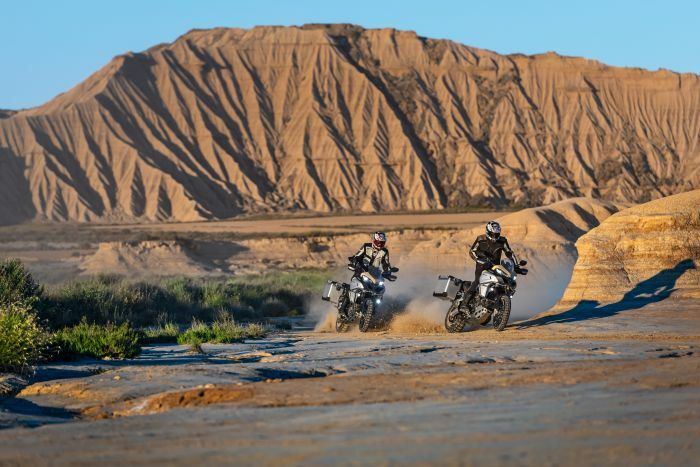 Ducati claims that the bike has been designed with riders who want to get out and explore the off-road trails and so, on the new 1200 Enduro Pro version you’ll find Pirelli Scorpion™ rally tyres, fitted as standard. These tyres are ideally suited for off the beaten track use, but, will also ensure performance on the roads too. 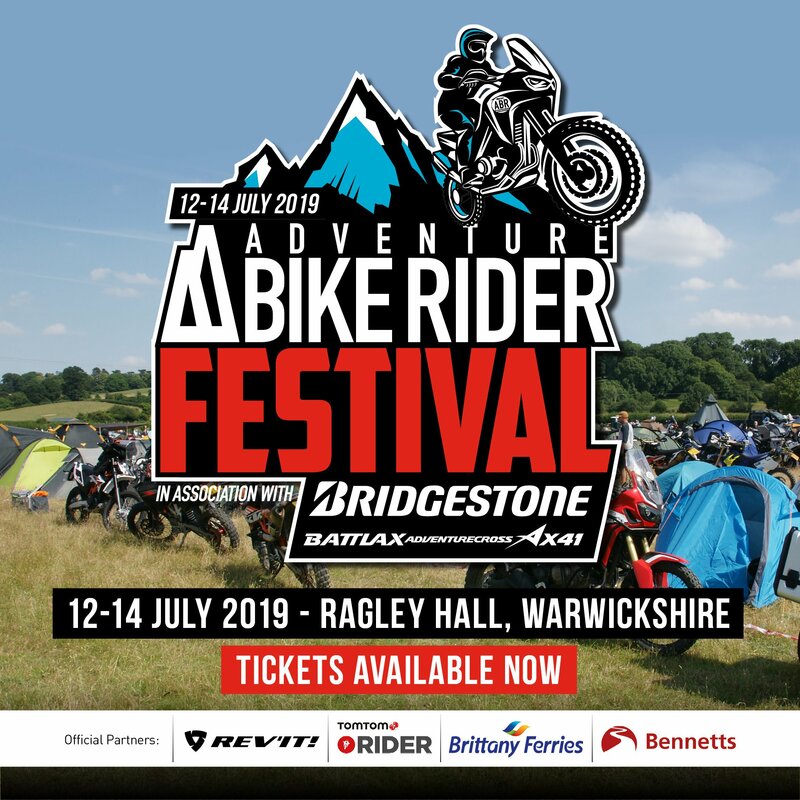 Other features include Ducati Performance crash bars by Touratech, along with LED spotlights and a low screen, which is great for ‘on the pegs’ off-roading. The new Pro version also benefits from the Ducati Performance exhaust by Termignoni, which is fully compliant to EU standards. 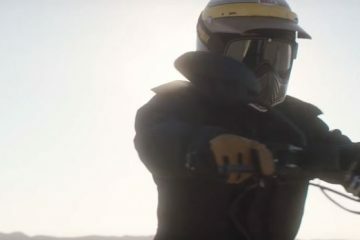 Ducati says the new pro version was rigorously tested under extreme conditions, which has enabled the company to develop the ultra-tough enduro frame. 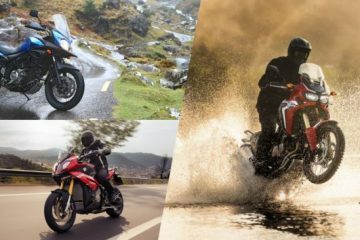 The bike is powered by the tried and tested 152 brake horse power, Ducati Testastretta engine and thanks to riding mode technology, the new Pro version offers that same ‘four bikes in one’ spirit (enduro, touring, sport and urban) which has made the Multistrada such a huge success. The new 1200 Enduro pro version has also had some sprucing up in the looks department, with eye-catching paintwork, Enduro logo stickers on both sides and a two-toned seat. 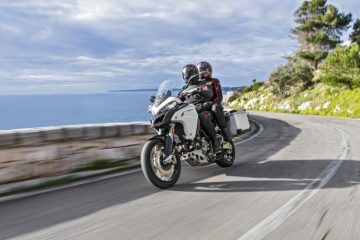 As with the standard Multistrada Enduro, you’ll also get ABS cornering, cornering lights, Ducati traction control, Ducati wheelie control, Ducati Skyhook suspension, and an evolution system with 200mm of wheel travel all come as standard, so does vehicle hold control, for smooth hill starts. You’ll also find such features as electronic speed control and Bluetooth, as standard. The Bluetooth function allows riders to connect their smartphone to the bike and control multimedia functions such as incoming calls, text messaging and music, via the switchgears and display info on the dashboard. We’re loving the sound of the new Enduro Pro version and we’re just itching to get our hands on it when it comes out in July 2017. 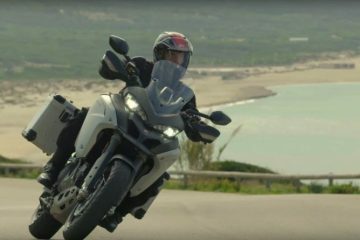 As you can imagine, with all its new shiny features it’s a few grand more than the standard Multistrada Enduro which starts from £16,690. Prices for the new Pro version will start from £18,995. 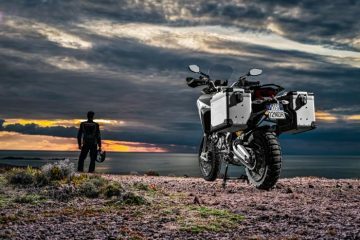 To visit the Ducati Multistrada Enduro website click here.